February 2012 – on my way: make it someday. 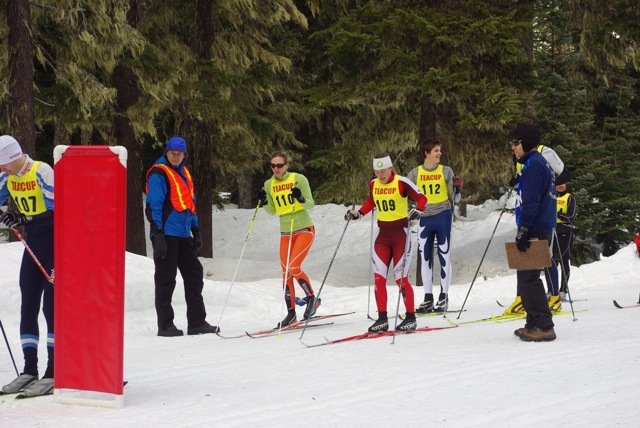 I mid-January, I decided for some reason to do a 25 kilometer skate race in Bend, Oregon. 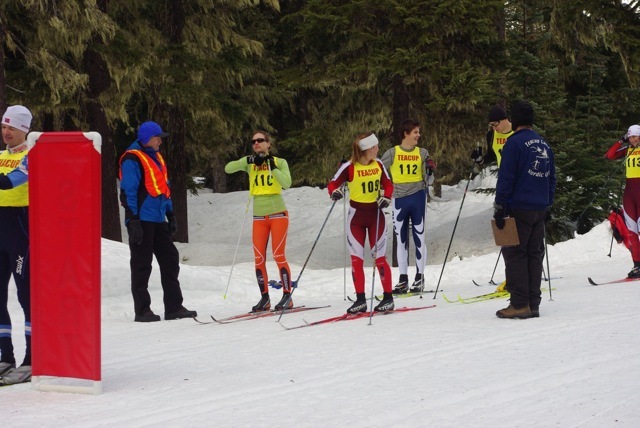 I was helping with a high school race nearby on Saturday, so it seemed so logical: I’d just skip over to Bend for the night, get up in the morning, do the race – 25k isn’t that long, right? – and then hang out in town with some friends. This post isn’t really about the 25k, which was really hard. I’m not in shape anymore, and I don’t get on snow very often, and those things combine to make a half marathon seem pretty darn tough. But the weekend was the origin of another adventure. While I was in Bend I stayed with my college friend Katie Bono, who was in town visiting her boyfriend Cody’s family. They weren’t interested in the 25k, but seemed excited about a 15k classic race to be held the next weekend up at Mount Hood. 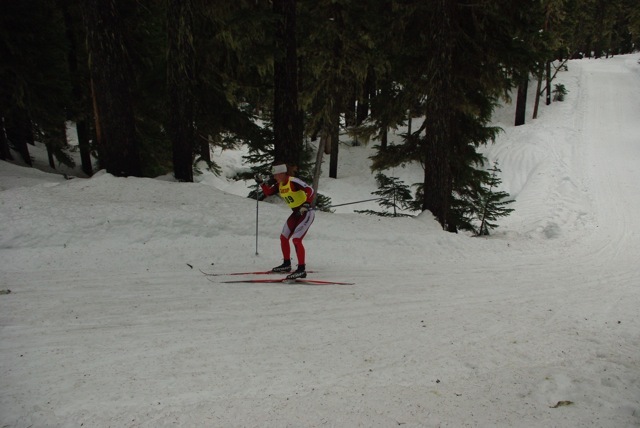 After my race, I was not at all sure that I was interested in doing any more long ski competitions, but it was so fun to see Katie and Cody that I got myself psyched up. Since the temperature was supposed to be in the 30’s or higher, I actually went to the local ski shop, Berg’s, to try to boost my klister collection, but found that they didn’t sell klister. What kind of a ski shop is that!? Seriously. So I just kind of hoped that between Katie and I, we’d have the right wax. 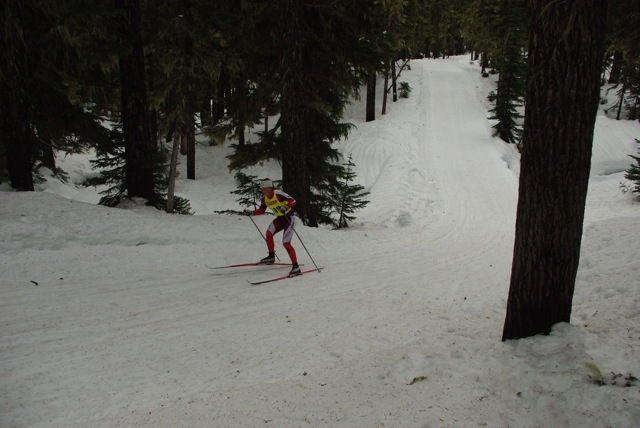 Once we made it to Teacup, a snow-park on Mount Hood where the local ski club has built a small lodge, the games began. Here is a little description of how, as a pair of former full-time racers, you approach a race for which you are completely unprepared. 2. Pick up your skis and dab some klister on. As mentioned above, don’t bring a wax bench. Why would you need one? 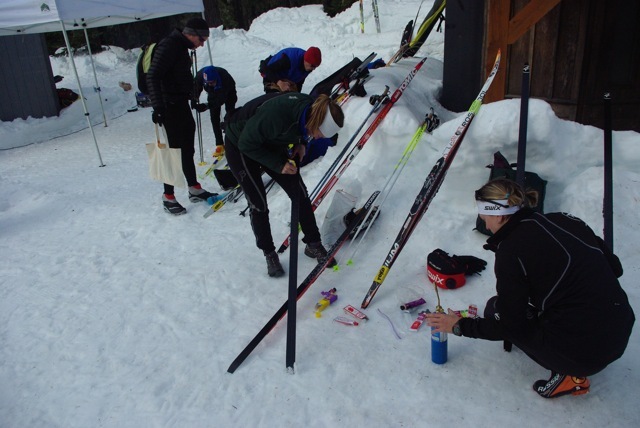 As one of you starts to stick globs of cold klister onto your skis, make sure that the other one goes through at least half a box of matches attempting to light the torch which has been purchased for this specific occasion and doesn’t really work. 3. Snow is a great wax bench, so use it. Put your ski back in the snow, and try to use the faltering torch to heat your klister in. It won’t really work, so you can always go ask the Toko rep to borrow his torch. Use your thumb or the palm of your hand to rub the wax in. 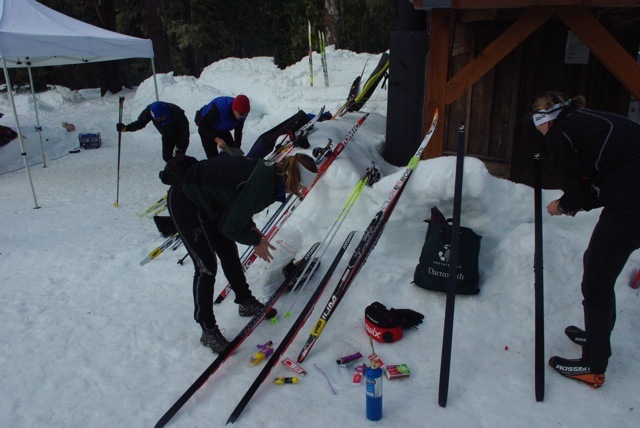 Since you have minimal heat, the ski won’t be pretty and you will be very, very sticky. That’s what gloves are for. 4. Is this going to work for anyone else? On the start line, look around and check. 5. Keep those skis moving. You don’t want them to ice up, because then you’d fall down in the start, and that would be super embarrassing. Plus, you’re like the only one wearing an actual full race suit, so you gotta look good. Man, this is getting stressful. Note to self, next time leave the race top at home. 6. Congrats, it works! Kind of. For the first few kilometers your very pro wax job works great. You are striding up hills like a champ! 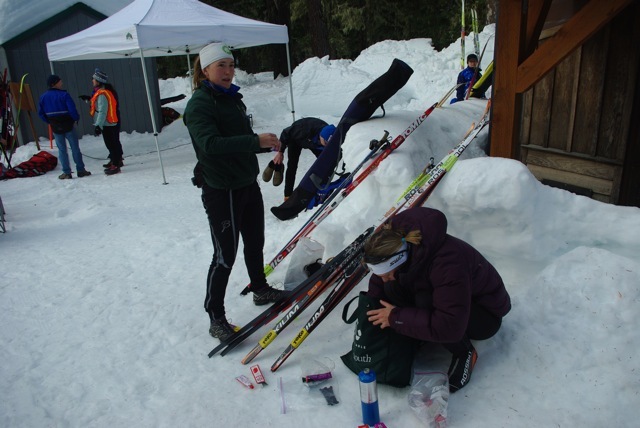 It does, however, pick up approximately 3.8 pinecones worth of crud, which means that your skis get really slow and grabby. Probably nothing you could have done about that. In the meantime, try not to fall down. 7. Stay on your feet, will you? Jeeze. It could be kind of hard.